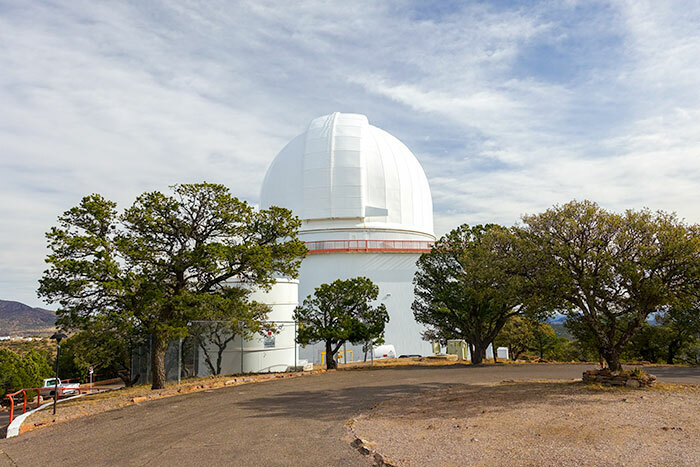 McDonald Observatory sits right in the middle of the Davis Mountains and is one of the biggest attractions for visitors to the area, bringing in tourists, scientists, and students from all over the world. Since the Davis Mountains, and the Big Bend Region in general, offer some of the darkest skies in the continental U.S., along with more clear skies on average than most other areas in the U. S., this area makes for one of the best locations for sky-watching. 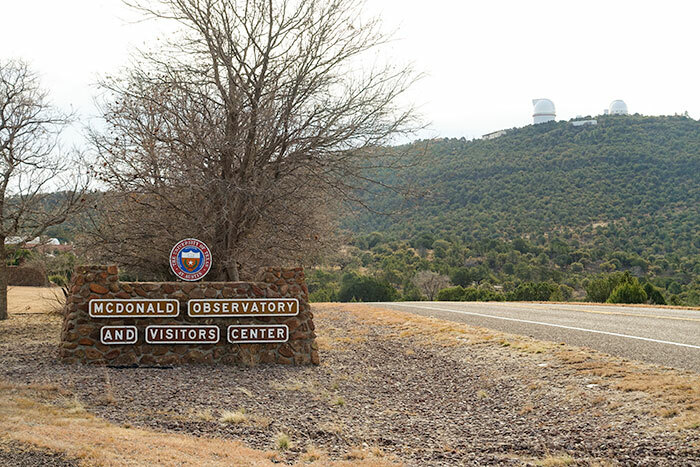 The entrance to McDonald Observatory is a little over fifteen miles Northeast of Fort Davis, past Davis Mountains State Park, on Highway 118. 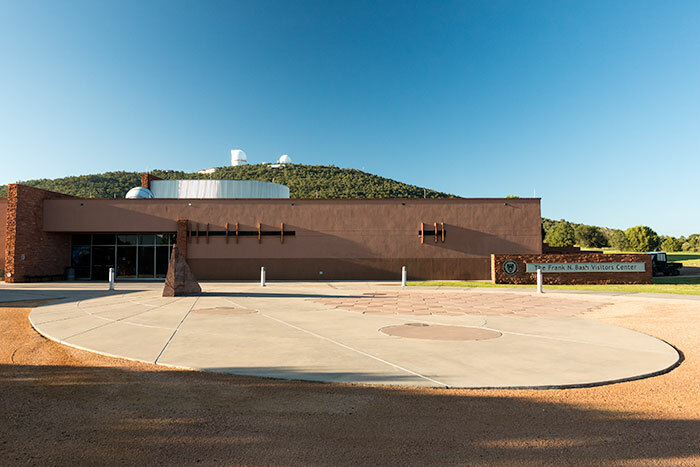 Soon after you enter the McDonald Observatory grounds, you’ll see the Frank N. Bash Visitor’s Center on your right (open 10 a.m. to 5:30 p.m. every day). This area serves as the central location for all of the visitor activity to the observatory. 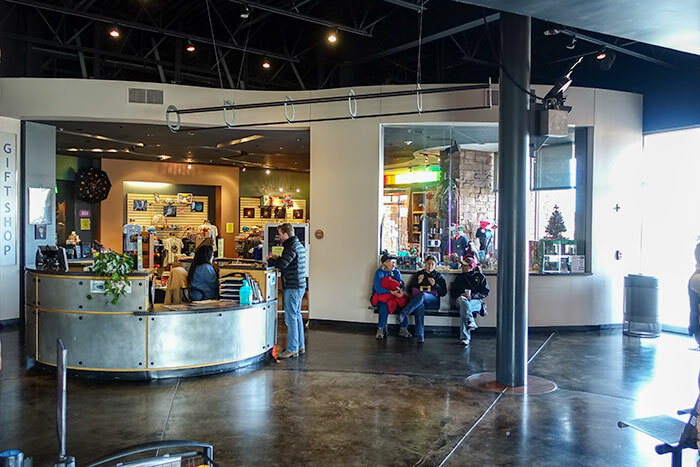 In the visitor’s center, you’ll find a cafe, the gift shop, and the main desk, where you can sign up for the different activities offered. 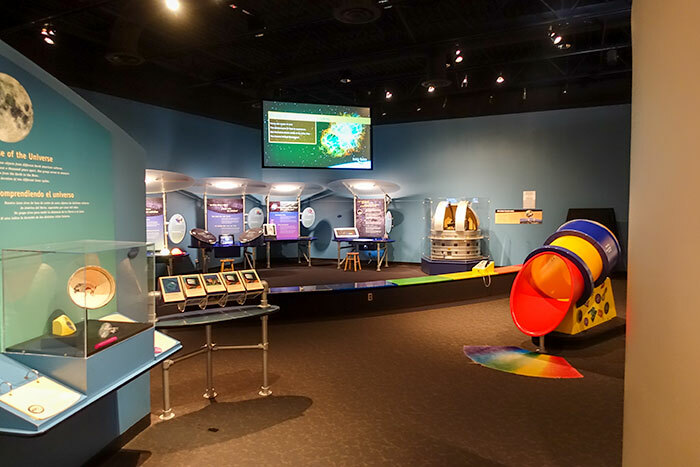 For just a few dollars, you can head to the exhibit in the back, which explains all of the telescopes and the research performed at the observatory. You can also sign up for the solar viewing program in the theater, which lasts about 45 minutes. The full guided tour offered can take more than two hours and includes a presentation in one of the large research telescopes further up the mountain. Unfortunately, since we were there during the day, and were heading out of the area that evening, we didn’t get a chance to make it to a Star Party. The Twilight Party takes about an hour in the indoor theater, begins an hour and a half before the Star Party starts, and focuses on the moon and the solar system. The Star Party takes about two hours and is hosted every Tuesday, Friday and Saturday evening and takes place in the Rebecca Gale Telescope Park. 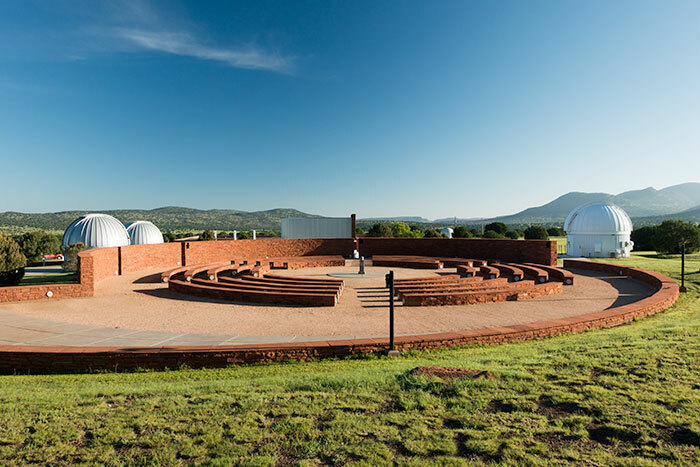 At the Star Party, guests will get a 30 minute introduction and constellation tour, then head over to the telescope park, where as many as 16 telescopes are set up for viewing different targets in the sky. The visitor’s center recommends that people make reservations for the Twilight and Star Parties now since they’re getting busier and are having to start limiting the number of guests for their events. Twilight and Star Parties are recommended for ages 5 and up. The observatory also has more exclusive Special Viewing Nights on the big research telescopes for people with a more intense interest in astronomy. Times set aside for Special Viewing Nights vary depending on the needs of the researchers using the telescopes, so you would need to contact the observatory to figure out their calendar. Special Viewing Nights are recommended for ages 10 and up. 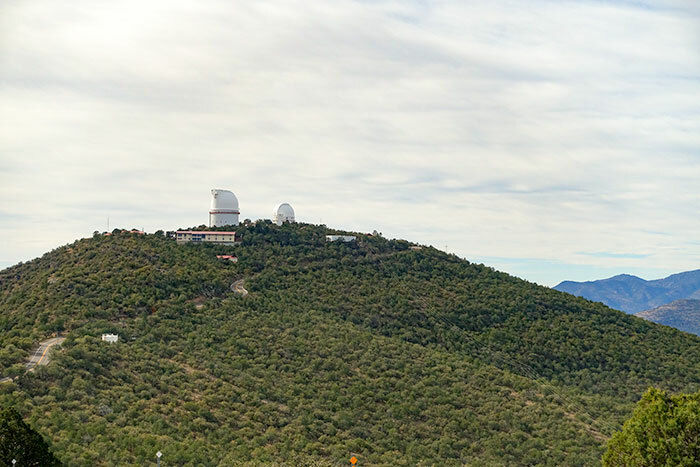 McDonald Observatory has three main research telescopes, which you can see from miles away, even from the scenic overlook at Davis Mountains State Park. You can skip the visitor’s center near the entrance of the observatory grounds and drive up to the research telescopes for your own self-guided tour if you don’t want to go on the guided tour. On top of Mount Fowlkes (6,640′ elevation), you’ll see the Hobby-Eberly Telescope, the third largest optical telescope in the world. 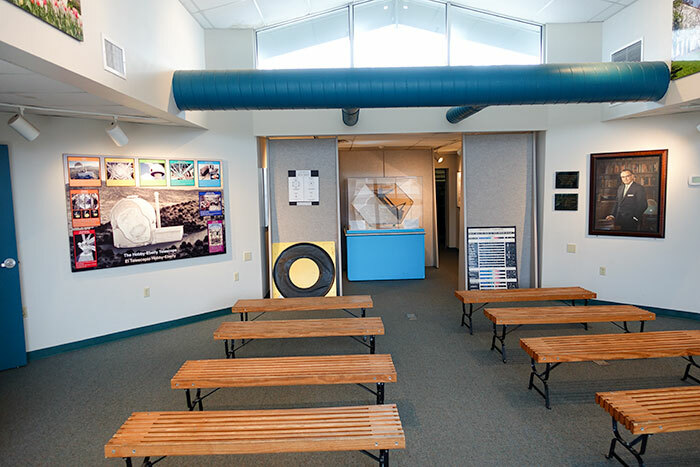 The Hobby-Eberly Telescope also hosts its own visitor’s center, where you can walk in, watch some presentations on the telescope, and take a look at some of it’s inner workings. 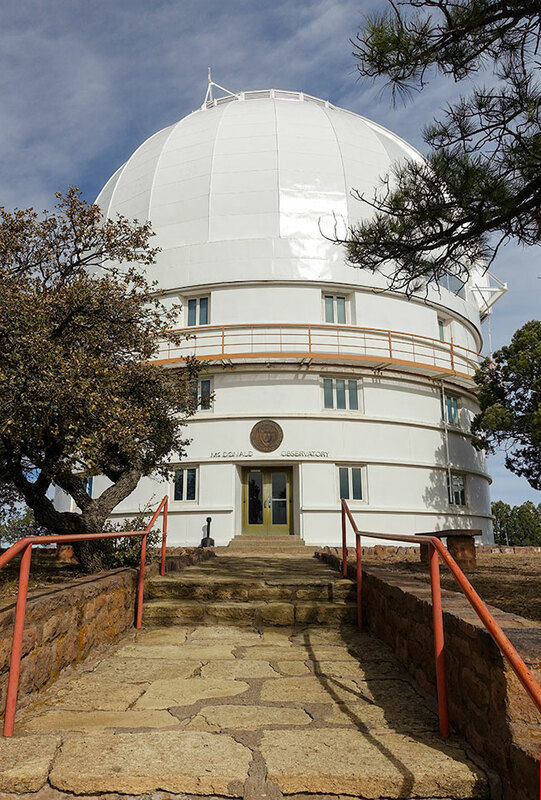 On top of Mount Locke (elevation 6,791′), you’ll see the Harlan J. Smith Telescope and the Otto Struve Telescope. The Otto Struve Telescope was built in 1939, and at that point in time served as the entire observatory, housing all of the astronomers. The Harlan J. Smith Telescope was built in 1968 and has played a major role in preparing for the exploration of our solar system by NASA spacecraft. You also might be interested to know that the road leading up to these telescopes is the highest elevation road maintained by the State of Texas. 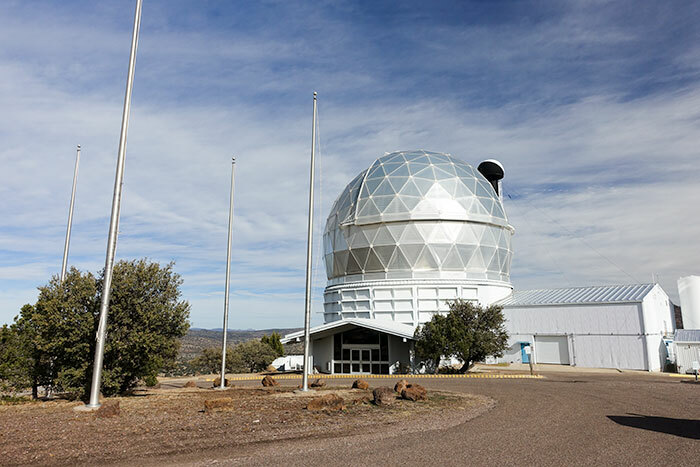 You can learn more about McDonald Observatory and make reservations for one of their tours on their website at www.mcdonaldobservatory.org.